As with any GPS, the first thing you need to do with your TomTom VIA 1405 4.3-Inch Portable GPS Navigator is update the software. This will make sure you and TomTom get along, and become friends, rather than TomTom ending up as roadkill. You can find updating instructions in the manual or online. TomTom users may be well versed with the TomTom Home program, but this and other newer devices do not use that software. 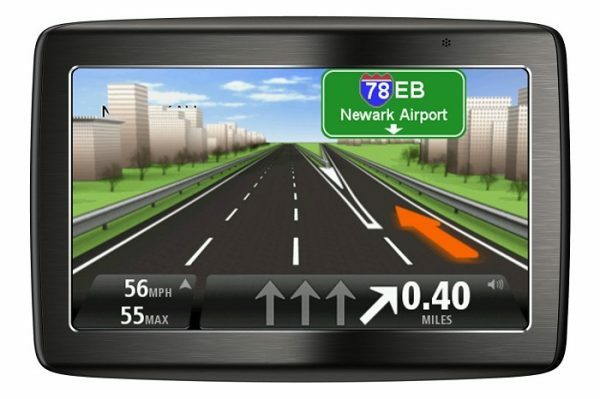 The TomTom VIA 1405 4.3-Inch Portable GPS Navigator uses the MyTomTom software, which runs within a web browser. There are very few things you need to do with this software, basically it is used for downloading updates. Updated software and maps are rapidly installed in one try, which makes this GPS is very user friendly. As for the quality of Maps Interface, everything shows much improvement from the previous TomTom. The maps look fresh (rather than cartoon like) the status bar is sleek. The setting and menu areas are less cluttered. I have always found TomTom’s interface and maps to be unique and beneficial and the new look is even better than the older versions. The Voice Recognition Software works great, you can easily input addresses in one try as the software is very accurate. There are other voice commands you can implement while driving, some people may find them useful, but I have yet to need them. The TomTom VIA 1405 4.3-Inch Portable GPS Navigator reads much better than previous models. Unlike my 140S which used to read 205 and 305 as 2 WEST 5 and 3 WEST 5, this device works great, and gets it right. The TomTom VIA 1405 GPS is very attractive looking with a semi-metallic finish. I looked at the 4.3 and 5 inch models, and I think the 4.3 is the better pick, unless you have bad vision – in which case get glasses because the 5 inch screen will only take more away from your view of the road. The TomTom GPS display is very nice, easy to view and it is very easy on the eyes. The touch screen on the TomTom VIA 1405 4.3-Inch Portable GPS Navigator works very well. Scrolling through the TomTom VIA 1405 you can search for various businesses. The list of businesses is quite impressive, I was able to find even small businesses you may not think would be listed in your GPS Navigator. And with lifetime free quarterly updates, your GPS will always have the latest lists and directions available. The TomTom VIA 1405 4.3-Inch GPS Navigator comes with ALG (Advanced Lane Guidance). This feature is amazing! If you travel a lot, especially though big cities, this feature is a lifesaver! It tells you which lane you need to be in to stay on the existing freeway, to junction into a new one, or which lane you need to be in when exiting (I Hate Left Exits!). With the TomTom VIA 1405 you don’t have to worry about being in the wrong lane again! It will warn you by voice, show arrows and mimic road signs. I should point out, as great as the TomTom VIA 1405 4.3-Inch Portable GPS Navigator is, it is not a $300 or $400 device, don’t expect to travel to the center of the world with this GPS, but it will do what needs to be done, when it needs to be done. Reviews I read before buying the TomTom VIA 1405 4.3-Inch Portable GPS Navigator made me leery, they wanted a GPS device to be a smartphone with a magical scuba tank attached so they could travel from the USA to Australia and never come up for air. For the price of the TomTom VIA 1405 4.3-Inch GPS Navigator you can’t beat it. It’s a great little device with lifetime updates, that will help you get from point A to point B with accuracy – all for under $150! I have only covered a small portion of the options and functions of this TomTom VIA 1405.